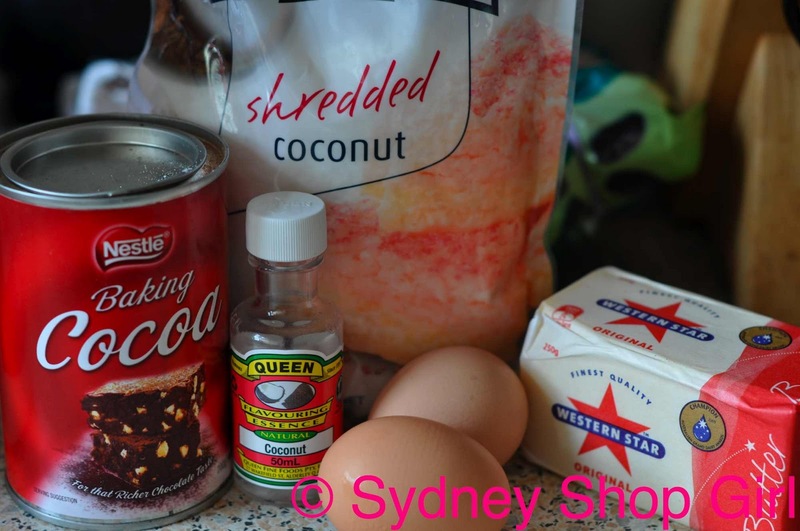 Sydney Shop Girl: Christmas and the Scent of Coconut. Donna Hay Take 2. Christmas and the Scent of Coconut. Donna Hay Take 2. I'm a sucker for The Christmas Album. Cover versions by the It Group / Artist of the moment? Timeless renditions by jazz and opera singers? I love them all. So it was all good news for me when the paper arrived this morning. 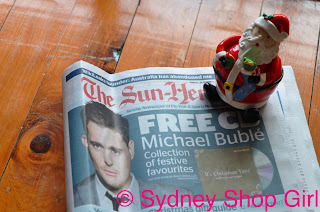 Michael Buble? Free? I'm there. A couple of years ago, Mr SSG gamely accompanied me to a Michael Buble concert here in Sydney. You would not believe the shrieking. From the sedately dressed older women. It was louder than Robbie Williams and U2 put together (the other 2 live concerts I've been to in recent memory). It was a brave and noble act on the part of Mr SSG and in return, I do my bit by handing over control of the TV during major sporting events. After an energizing start to the day with yoga, Mr SSG and I hit the shops up the road armed with a list of errands and a time limit of 15 minutes. It was another great class this morning. We left class feeling so alive, stretched and full of energy that stopping off at a cafe for a decadent brunch on the way through Balmain was superfluous. Which is just as well because there were lines everywhere and it was only last weekend that Mr SSG and I were having daily breakfast buffets in 5 star luxury in Singers. One of these days though, I will make it to the Adriano Zumbo cafe in Rozelle. I work well under pressure. 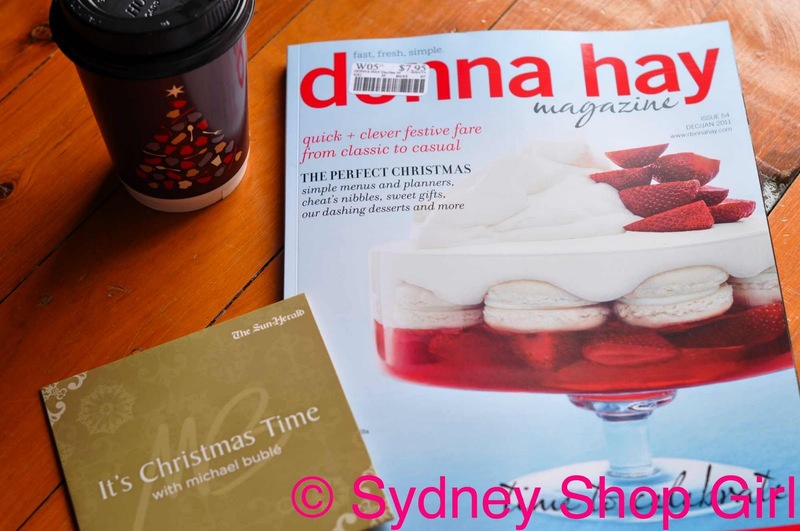 Working on the Christmas theme - my Michael Buble CD, coffee in a Christmas cup and a repeat purchase of the donna hay magazine Christmas issue. My first copy got waterlogged (depsite being wrapped in plastic) and was unsalvageable. That vanilla macaron and strawberry trifle on the cover looks amazing and sounds incredibly easy. I wonder if it would work first thing on Christmas Day as well as the recommended option to serve it as a dessert. With Michael Buble in addition to my Diana Krall Christmas CD and So Fresh Christmas Hits circa 2002 on rotation on the stereo, it was time to start wrapping presents and bake. Today's key ingredient was coconut. I was inspired by the first signs of summer in Sydney today - humidity, hints of sunlight and the smell of sun dried laundry. I love the smell of coconut essence. It takes me back to the sunscreen I used to wear at school, The Body Shop's Coconut Body Butter and all manner of non bake Christmas sweets. But I digress, today's recipe was the Chocolate Coconut Cake from taste.com.au. 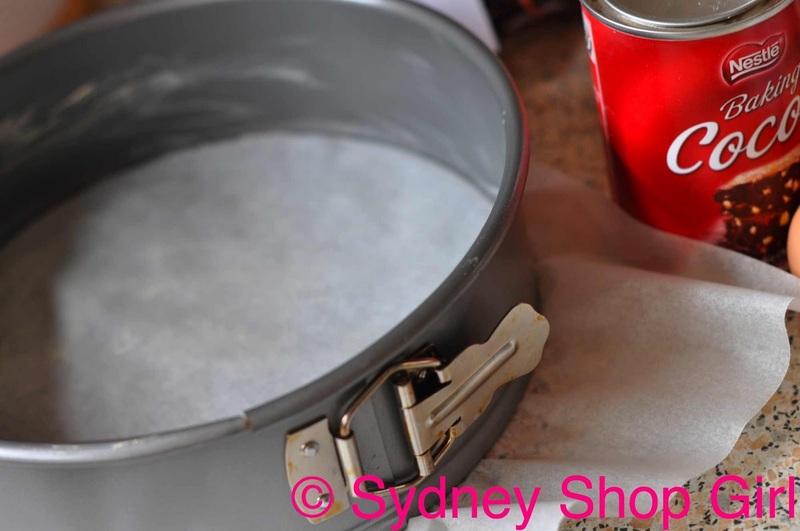 The cheats way of lining a greased cake tin with baking paper. The secret is not to think too hard about how the paper fits over the base and how the spring form side then attaches. It just works. Have you heard of beater blades? They are the best thing ever. They are plastic blades that you can buy for mixers like Kitchen Aids and they really do mix thoroughly and ensure that there isn't that ridge of butter at the base of the bowl at the end of beating in the dry ingredients. I got mine for around $30 off ebay. I usually use the standard beater for creaming and then switch to this blade. 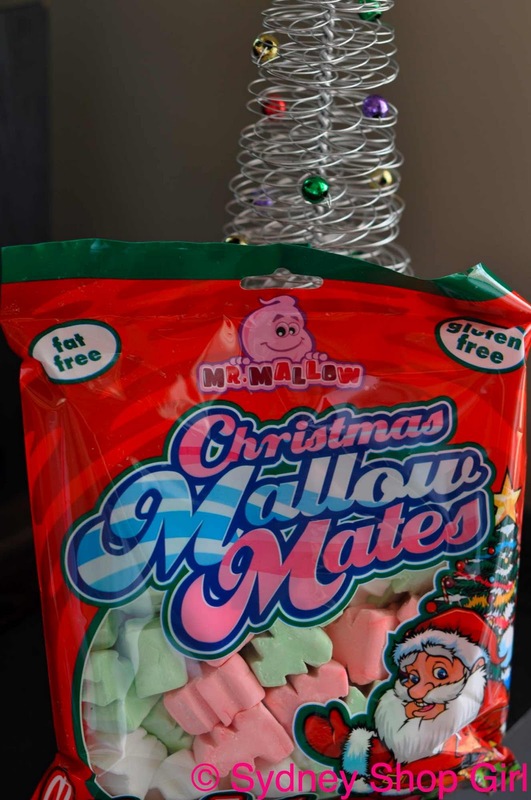 How cute are these coloured Christmas tree marshmallows? Perfect as a cake decoration. For the blog, I tried all three colours and I don't think they're individually flavoured. Not as soft as Pascall's. Getting back to the baking. No chocolate cake baked at Christmas is complete without butter cream frosting. 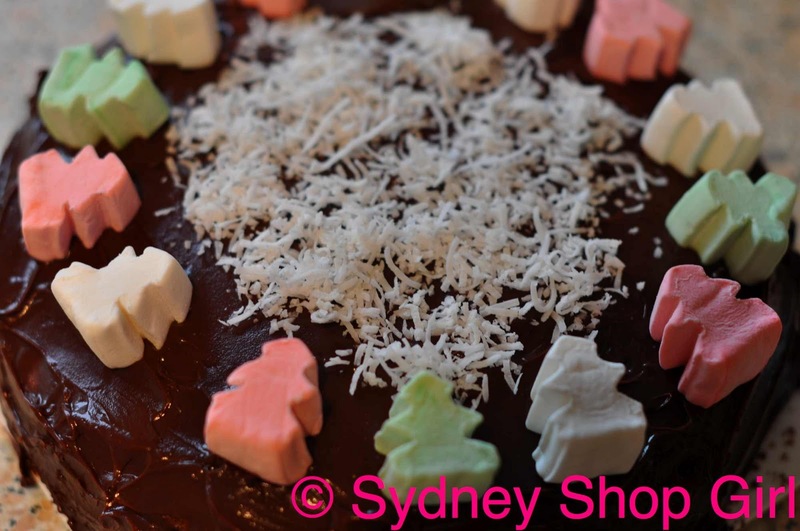 Plain old icing or whipped cream is fine for any other time of the year but for Christmas, you need a frosting with equal parts chocolate and butter. It was getting tense for a while there, I have to admit. And not just about The Second Test, which I understand is a complete disaster for Australia and there hardly seems any point in playing the rest of the days. The frosting just wouldn't thicken despite getting down to room temperature. 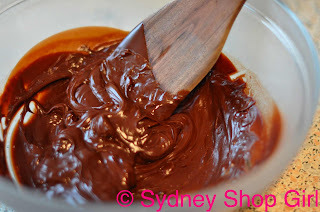 Fortunately, a few minutes in the fridge was enough for the butter and chocolate to get their act together and behave like a glossy, chocolate frosting should. It looks so rich, could it be called a ganache? Or does that involve cream? We could just pretend it's got cream in it. Butter is just a lot of churning away from cream, after all. I'm keeping the cake in the fridge tonight just to make sure the frosting doesn't melt off the cake. 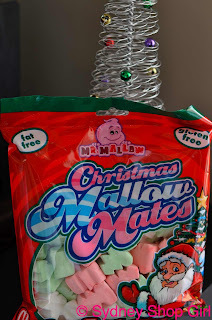 Aren't the marshmallows perfect? 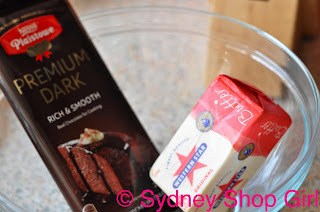 The cake is going with me to work tomorrow and I will report back after taste testing it. Hope your Christmas preparations are going to plan. The local Carols By Candlelight is being broadcast loud and clear across the suburb this evening. They're up to Jingle Bells and it's beginning to feel a lot like Christmas. Love the image of shrieking ladies at Buble concert - have never seen him but feel sure that if there were squealing to be done, I would join in. Bx P.s. 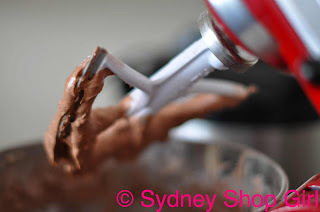 I have one of those springform baking things though no idea what I have used it for, if ever.. I agree - the shrieking is insane at a Buble concert. I am miffed we forgot to go out and get the CD today - nevermind! I love the combination of chocolate and coconut - it always reminds me of chocolate crackles for some reason. I do the same thing with the baking paper and springform tins - I think i learned it from Nigella! I am jealous it feels like xmas in Sydney. Brisbane feels like we should all be building an ark in case of a biblical flood. I am actually missing cicadas singing and sweating at 6am! My favourite Christmas song is Wille Nelson singing O Little Town of Bethlehem. There is something about his tobaccoey, lived in voice singing such an old hymn that gets me every time. I have those fabulous beater blades too SSG! I bought mine in Los Angeles in "Sur La Table". We were on holiday there and my family was horrified that I happily pottered around for ages in this fun kitchenware shop. Now I can tell people that you can get them on ebay. Excellent! I don't know why I bothered swearing off cake this week. Every I go I see a good one - yours looks amazing. Didn't know Michael B had a Christmas CD, will have to check it out. Must admit I didn't have an opinion on him either way until he was on Kath & Kim. That was GOLD.